Kids don’t need to use any sharp tools when they use Scratch-Foam board! A pencil, lollipop stick, or ball-point pen "cuts" a block with ease. This soft surface printing board is an economical, easy-to-use way to produce simple, yet effective prints. 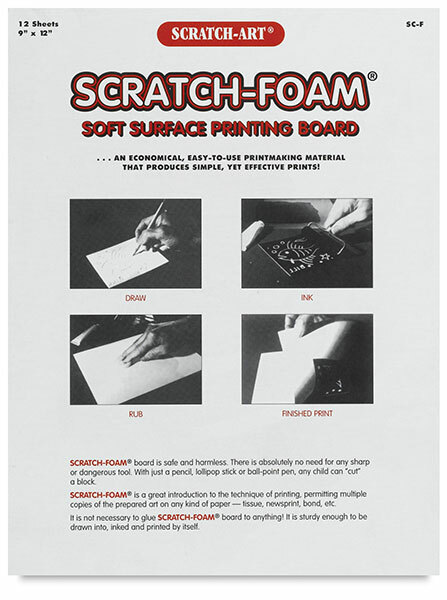 Scratch-Foam is a perfect introduction to the technique of printing and lets kids make multiple copies of prepared art on any kind of paper! ® Scratch-Art is a registered trademark of ® Melissa and Doug.® Scratch-Foam is a registered trademark.